#1. Intense praise and worship. #2. Father give us the grace to please you in all that we do in this year 2017. #3. Father give us the grace to wake up and win souls, attend House Fellowships, Digging deep , Sunday Services and other church programs regularly in this year, 2017. #4. Father, help us to be faithful in honouring you with our first fruit, giving our tithes and offering regularly throughout this New Year 2017. #5. Father arise, and show yourself mighty on our behalf and on the behalf of our, parishes and family members. #6. Father arise and help me to stir up the giant in me. #7. Father help me to recover all the lost grounds in this New Year 2017. #8. Father help me to forever be relevant and never become a man of yesterday. 1Sam 16:1. #9. Father have mercy on me and reverse every irreversible in my life this year. Ezek. 37:1-12. #10. Father, you are the help of the helpless, help us to be united and help RCCG to forever be relevant. #11. Let us ask to be merciful on us in 2017. #12. Father , arise and favour us in with pleasant surprises in 2017. #13. Father have mercy on us and don’t allow us to do anything that will make us to experience negative surprise in 2017. Rom. 6:1. #14. Let us ask God for a militant Army of vibrant youths in RCCG who know whom they are in Christ. I Corinth.10:1-6. #15. 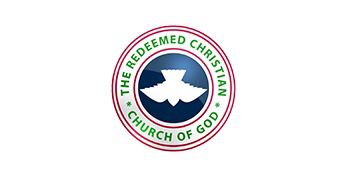 Let us ask God for a highly disciplined Army of vibrant youths in RCCG . II Tim. 2:3-5. #16. Let us ask God for the Army of vibrant youths in RCCG that will finish strong I Corinth 9: 24 – 29. #17. Let us ask God for the Army of vibrant youths in RCCG that will deal with companions according to knowledge I Pet 3: 7-13. #18. Let us ask God for the Army of vibrant youths in RCCG that walk in the spirit. Gal. 5:13-16. #19. Let us pray to God for the Army of vibrant youths in RCCG that will learn from the example of the past. I Corinth 10: 1-6.